“And the language,” Ziehmann added. Ziehmann is staying with the Ingalls family, Bobby and his wife Tenya and their youngest son Jonathan, for ten months. They thought their middle child, 19-year-old Mikaela, would be home also, but she found out over the summer that she got an RA job at Southeastern, so she lives there now. Their oldest, 22-year-old Benjamin, moved out a while ago and is attending LSU. Ziehmann, who is 16 years old, is only a day younger than Jonathan, and both students are juniors at Denham Springs High School this year. Jonathan said he is excited to not be the youngest anymore. Ziehmann is from Falkensee, Germany, which is about 14 miles from Berlin. 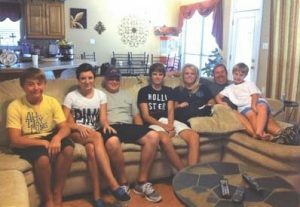 Over in Walker, Arnau Badia is staying with the Leblanc family, which consists of George and Stacy and their three sons, Landon, 17, Lance, 13, and Logan, 9. Badia, who is 15 years old, is a sophomore at Walker High School. Badia is from Argentona, Spain, which is about 16 miles from Barcelona. Stacy Leblanc said a friend told her about the foreign exchange program and the need for host families. The first person in her family to agree to the idea was her oldest son, Landon, who is on the baseball team. “He was all into it. When we found out he [Arnau] wanted to learn American baseball, Landon wanted to teach him baseball,” she said. After the whole family agreed, they connected with Watson resident Sonya Aydell, who is the area representative for International Cultural Exchange Services (ICES). 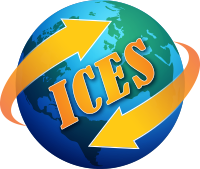 According to their website, www.icesusa.org, ICES is a nonprofit organization dedicated to promoting a peaceful world by increasing international awareness and understanding through cultural sharing experiences. Aydell, who also does substitute teaching at Live Oak schools in Watson, has been working for ICES since March. “As of right now, I have 10 students – one as far as Jennings to the west and one as far as Mandeville to the east,” Aydell said. “As an area representative, I try to contact schools in our area and get permission to place students at those schools. I then look for good host families and help them find a student that will fit their family,” she said. “It can also work in reverse. Host families may contact ICES or there may be a friend or acquaintance who tells me they want to host; I then contact the high school in their district to get permission to place,” Aydell said. Families accepted into the ICES program must complete criminal background checks, interviews and home studies. The students have full health insurance coverage and their own spending money, and the host families are entitled to claim an itemized tax deduction of $50 per month. 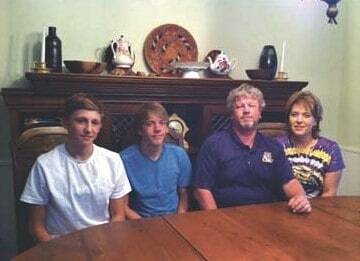 This is the first time the Leblancs have hosted a foreign exchange student, but Stacy Leblanc said her nephew’s best friend was a foreign exchange student from Australia three years ago. “I just thought that was the coolest thing,” she said. The Ingalls family, who hosted another foreign exchange student four years ago, has a long history with foreign exchange. “I grew up in a rural logging community in northern Idaho, in a very small town, but the school system there was always involved in a foreign exchange program,” Tenya Ingalls said. She agreed with her husband about the importance of the community being able to experience different cultures. Bobby Ingalls had first-hand experience with foreign exchange. “When I was a sophomore in high school, I actually participated in a foreign exchange program,” he said. “I went to El Salvador. I spent six and a half or seven weeks down there, and we had a young man who spent about eight weeks with my family. Back then the program was a little different than it is now,” he said. They have also opened their home to other guests. The family has also traveled abroad together, including a trip five years ago to Costa Rica. Both Badia and Ziehmann have found their host families very welcoming. Both students also have similar goals for their time in the United States. “The biggest fact was I want to speak English very fluently so that perhaps it will not be as hard after this year,” Ziehmann said. The language barrier is not big for either student, as they are able to convey their thoughts well in English. 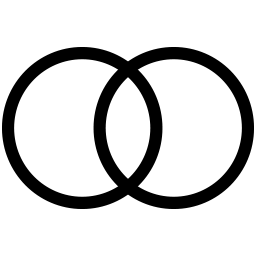 One of the main issues has been differences in accents as well as unfamiliarity with local slang or terminology. “He’s doing good,” Stacy Leblanc said of Badia. “Every now and then we’ll say something like booksack, but in his country it’s not called a booksack. Just certain things like that. One day, I was telling my middle kid, ‘You’ve got a big head!’ and he [Badia] was like, ‘He’s got a big head? ?’” She had to explain that she did not mean that literally. Ziehmann has also experienced a few language and accent issues. While Bobby and Tenya Ingalls were talking to their son Jonathan about a football scrimmage, Ziehmann asked what scrimmage meant. Ziehmann also told his host family about a conversation he had at school on Wednesday. “When I said Jonathan is my house brother today, they understood I said ‘husband,’” he said. “They don’t understand your accent yet,” Tenya told him. Ziehmann is also interested in learning the culture here, and he said he wants to visit New Orleans. Stacy Leblanc said one of the things Badia mentioned learning about America was McDonald’s, and he said he wanted to try a supersized meal. “In their country, they get little cups, and when they bring the cup out at the restaurant here, he’s like, ‘That’s for me?’ It’s so big,” she said. Badia said the drink sizes in his hometown are 33 centiliters, which is about 11 ounces, or a little smaller than a soda can. Badia is also interested in sports. He has already joined the cross country team at Walker High, and he said in his paperwork that he wanted to try baseball, which is not a big sport in his country. He has been in the United States for about two weeks, and he has already been fishing, frogging and swimming, and he loves the pool at the Leblanc house. Ziehmann added that attending church is not a common practice in his country and that American churches seem much happier. Ziehmann is also athletic and is playing soccer. He wanted to play basketball, but the roster was full. His host family plans to teach him about football, as well. This is the first time either student has been away from home for an extended period of time. Badia said he was only away from his family for a few days before, while Ziehmann said he had gone on trips with his basketball club for a couple of weeks. They have kept busy since they arrived, though, too busy to be homesick. Badia said he got the idea to participate in foreign exchange while on the bus. “I was on a bus talking with a friend and she told me, ‘I want to go to U.S. for three months,’ and I was thinking about that. When I got back home, I talked with my parents, and my father said, ‘Don’t go three months. You can go a year.’ And I liked the idea and we immediately went to different companies and we found ICES. We liked it, and here I am,” Badia said. His sister has also been to the United States. “My sister came to USA to California for a month last summer,” Badia said. As for Ziehmann, he has friends who are also doing foreign exchange. One is currently in St. Louis, while another is on a waiting list for a host family. Badia and Ziehmann also shared a little about their plans for the future. The students had the opportunity on Saturday to meet with Aydell’s other students during an orientation, where Aydell made sure they understood all the rules and regulations. To learn more about the program and application process, contact Aydell via email at [email protected] or call 225-603-6147. To learn more about student requirements, visit www.icesusa.org.